THE COMPANY BEHIND the biggest hotel in Ireland was ordered to pay thousands of euro to a worker fired for allegedly making lewd comments to a female guest. In a Labour Court ruling, Cape Wrath Hotel Ltd – which operates the 789-bedroom Citywest Hotel in Dublin – was ordered to pay €6,000 to former security guard Nicholas Reddin, who claimed he was unfairly dismissed. According to the company’s version of events, Reddin was sacked in late 2015 after a female guest complained that he had made “lewd comments” to her and a friend. The woman claimed she was approached by the security guard after he had seen her kissing a man in the hotel. She claimed that he had offered to show her CCTV footage of the incident and used “offensive and inappropriate language” and made “several sexual remarks”. According to the company, which was represented in court by business group Ibec, Reddin brought the woman and her friend into the hotel’s security base “without the authorisation of management” and breached security procedures. As a result, he was later fired for alleged gross misconduct and a breach of trust. Reddin, who was employed as a security operative in Citywest for nearly 10 years, was represented by Simon Donagh of Sean Ormonde Solicitors and stated that he did not engage in offensive conduct. According to the worker’s version of events, he was shown CCTV footage of a couple engaged in a sexual act in a restricted part of the hotel. Reddin recognised the woman because he had seen her “in an intoxicated state” during his shift. He told the court he was concerned by what he saw in the video “because it seemed that the parties involved, especially the female, were inebriated”. Reddin later spotted the woman with a friend in the hotel lounge. He approached her and asked if she had any memory of the night before. When he said he had CCTV footage of the guest “in a compromising position”, she asked to see the video. When he brought the woman and her friend to the security base, his supervisor let them in and played the CCTV video. Reddin told the court there was “insufficient evidence” for the company to dismiss him and claimed he wasn’t provided the rules on who could and couldn’t enter the security base. He told the court he wasn’t given an opportunity to properly tell his side of the story or to question his colleagues on the procedures for entering the security room. In its recommendation, the Labour Court said Reddin’s complaint was “well founded” but didn’t think it was credible “a licensed security operative with nine years’ experience of working in the hotel” was unaware of the procedure for letting strangers into the security base. Although the court believed Reddin was “80% responsible for his dismissal”, it ordered Citywest to pay him €6,000 in compensation. Email “Citywest Hotel was ordered to pay a worker accused of making 'lewd comments' to a guest”. 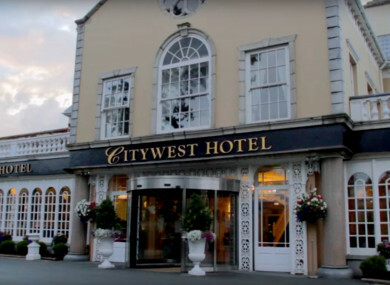 Feedback on “Citywest Hotel was ordered to pay a worker accused of making 'lewd comments' to a guest”.